This gun is a memorial and a tribute to the men who fought at that battle in March 1943, 131 (Queen’s) Brigade as part of the 8th Army was situated near a small Tunisian town called Medenine. The positions of the Brigade were 1/5th Bn The Queen’s on the left, 1/7th Queen’s in the centre and 1/6th Queen’s on the right. 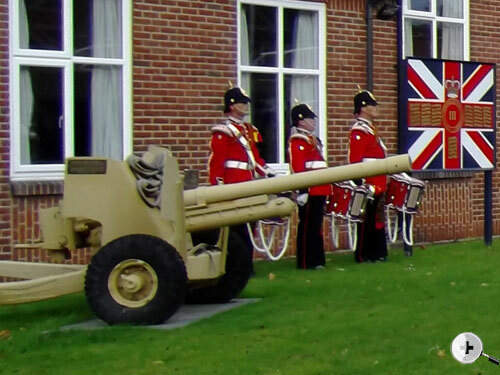 The Medenine Gun (up until 2014 was sited at the entrance to Howe Barracks with The Queen’s Regiment Memorial opposite. The Memorial records the names of those men who lost their lives on active service, serving with The Queen’s Regiment. Early on the morning of 6th March the Afrika Korps attacked with tanks to the centre and infantry to the right and left. The main attack of tanks came towards 1/7th Queen’s left flank which was a wadi covered by its own anti-tank platoon and artillery DC fire. In all 27 tanks were destroyed on the battalion front and Sgts Andrews and Crangles were awarded the Distinguished Conduct Medal for the action. A plate was later awarded by the Canadian Inspection Board to the gun manned by Sgt Andrews and crew. It is now known as The Medenine Gun. 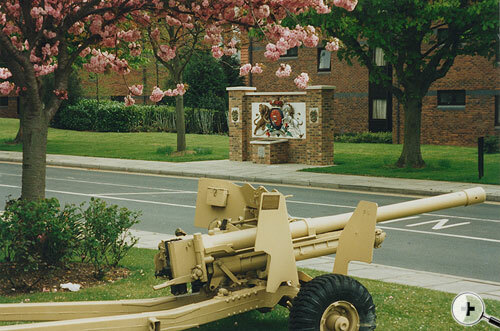 For many years the gun had an honoured place at the entrance to Stoughton Barracks, Guildford. On its closure in 1959 the gun went to Bassingbourn. 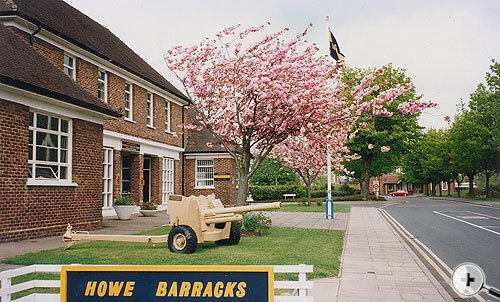 One of the last orders given by Major General Mike Reynolds as Colonel of the Queen’s Regiment, was to remove the gun to Howe Barracks, Canterbury, where, together with The Queen’s Regiment (1966-1992) Memorial it served as part of a lasting memorial to men of the Regiment. 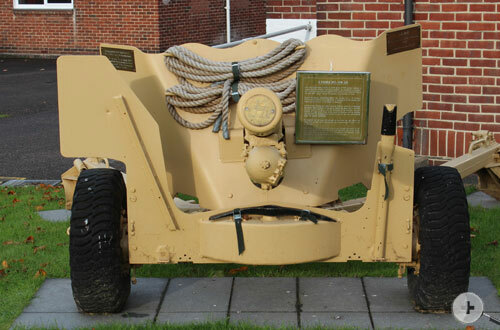 It stood outside the Regimental Headquarters at Howe Barracks, until its closure in February 2015 when it was moved. The Queen's Regiment Memorial, formerly sited at Howe Barracks, Canterbury, Kent. The Medenine Gun at Leros Barracks , Canterbury, Kent.